This post shows how to triple-boot Linux Mint 17.03, Ubuntu 16.04, Windows 10 on a PC with UEFI firmware and on a single hard drive. Consider this part 2 of how to Dual-boot Ubuntu 16.04 and Windows 10 on a PC with UEFI firmware, which, as the title suggests, shows how to dual-boot Ubuntu 16.04 and Windows 10 on a computer with UEFI firmware and on a single hard drive. So if you want to use this article to set up a multi-boot system consisting of Linux Mint 17.3, Ubuntu 16.04 and Windows 10, be sure to complete the first step by using the above referenced article. Afterwards, return to this article to complete the second and final step. To complete this step, you need to download an installation image of Linux Mint 17.3 from here. Afterwards, transfer it to a USB stick. 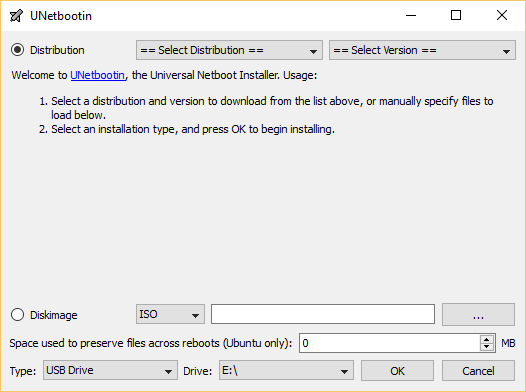 If you’re on Windows 10, Unetbootin is a program that works. See how to Create a bootable USB stick of Linux Mint 17.3 on a Windows 10 PC. If the computer has been set up to boot from external media, you should see the Linux Mint 17.3 boot menu when you reboot. Then boot into the Live desktop, click on the installer’s icon on the desktop. After the installer has started, click through the first few steps until you get to the one shown in Figure 1. And the message at the top of the window will say that “This computer currently has Ubuntu 16.04 LTS on it. What would you like to do,” with no indication that Windows 10 is also installed on the computer. Not knowing how the installer will handle the whole setup, you definitely don’t want to use the default partitioning method. 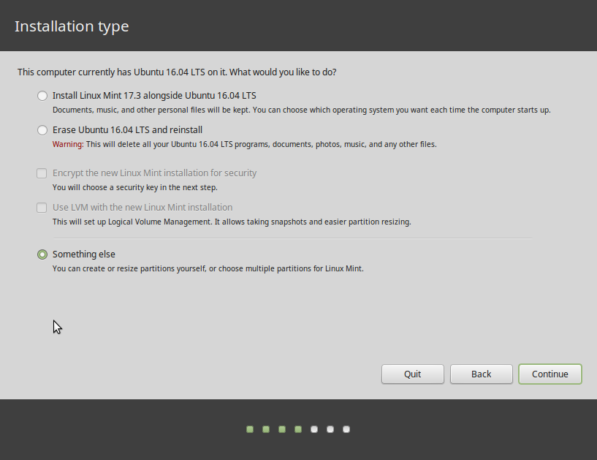 Instead, you want to create the partitions for installing Linux Mint 17.3 manually. And the facility for doing that is provided by the Something else option. So select it and click Continue. That should open the installer’s manual partitioning tool’s window, where all the partitions detected by the installer, which should include the Windows 10 partitions, will be listed. 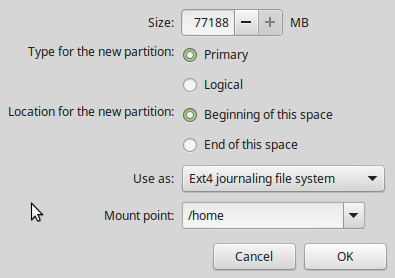 Of particular consideration in the list of partitions is the free space, which will be used to create the partitions for Linux Mint 17.3, and the partition with efi in its Type column. 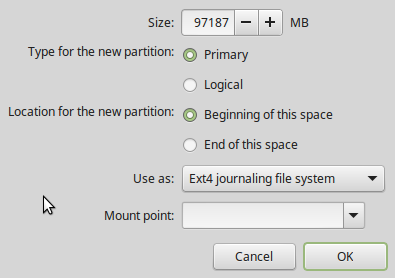 That partition will be the installation target for the Linux Mint 17.3 bootloader. For the setup used for this article, that partition is /dev/sda2, the second partition on the hard drive. To start creating partitions, select the free space and click the + button. Because the partition for installing the bootloader is already in place, and also a swap partition from the Ubuntu 16.04 installation, we’ll need to create just two partitions – one mounted at /, and the other mounted at /home. Clicking the + button from the previous step should bring up the installer’s partition editor. 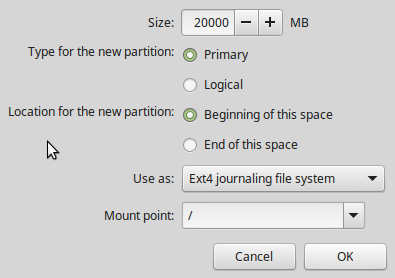 For each partition, you only need to specify the size, the file system (from the Use as menu) and the mount point. For both partitions that we’ll be creating, stick with the default file system – Ext4 journaling file system. After creating that last partition, you should be back in the main partitioning tool’s window for the last time. 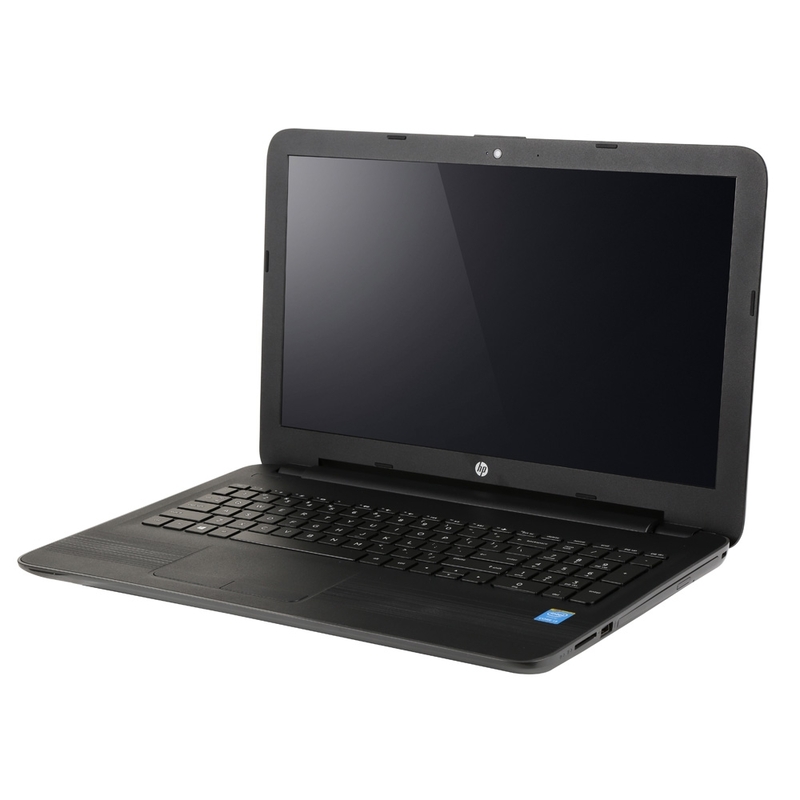 From the Device for boot loader installation, select the efi partition. On the system used for this article, that partition corresponds to /dev/sda2. Then click on the Install Now button to continue with the rest of the installation. The installer will indicate that it’s about to format three partitions, one more than you created. The third partition is the existing swap partition. Don’t worry, reformatting it won’t affect anything. Continue. After installation has completed successfully, rebooting the computer should reboot into the Linux Mint 17.3 GRUB menu. GRUB (Grand Unified Bootloader) is the boot loader used on virtually all Linux distributions. Aside from the entries for Linux Mint 17.3, there will also be entries for Ubuntu 16.04 and Windows 10. Another great walkthrough. I am currently following the first one mentioned above and it is much clearer than other articles. Thank you for your efforts! How do i set windows as default among linux mint, ubuntu and windows?? Being able to do that, the last time I tried, is broken on UEFI systems. Unless it has been fixed by PC vendors, the last OS that boots on a multi-boot system is the default, regardless of the setting in the BIOS/UEFI setup tool. Great 2-step walk-through of the process- I set up the same triple-boot combo on my PC and this helped me a lot. Thank you!